Note- In this thread all the discussions related to races , championship , technical details & analysis will be followed . There is no need to create a new thread for every new race. Finally after a long wait the F1 weekend is upon us. Testing has been very inconclusive, with very varying results. The field seems to be closer than ever, and it looks like teams like Lotus, Force India etc may be able to spring some surprises here and there. Also the most confusing is Ferrari's form. While some say they may be hiding pace, some say that they are not good at all this year while some say Ferrari is decent, but combined with the might of Alonso, would be dangerous. The Friday practice data should not be taken into much account either, as the track was mostly drying after showers, ad some teams (esp the top ones) may be running heavy fuel not revealing their hands. What apart from the top 3 teams does look good is pace of Mercedes, and probably Force India. They were dueling with each other in the second practice session, and were closely matched at the top of the table. MSC lead the FP2 with a tenth of difference form Nico Hulkenberg in Force India . Its just too exciting and I am anxiously waiting for qualifing to start and see which team is were in standings . I think Ferrari will compete with the Lotus for the 1 st race atleast given that their performance varied widly with the condition of tyres . Firstly the car is too under steering then it is oversteering . I think Ferrari has gone the wrong way in blowing the rear brake ducts this year because on throttle their is good downforce but off throttle the downforce drastically reduces and hence too much over steer . Ferrari is the biggest of the unknowns that will be solved tomorrow. Word around the grid is that it is an excellent qualifying car, but not very good in the long distance. Also the extent of the "not very good" is under doubt as there are thoughts that Ferrari may have thought that it will have a winning car straight away, but this is not a clear winning car, but it may not be as bad as they have put, and they maybe hiding things. Putting a mark on Ferrari is extremely difficult till after tomorrow's qualifying. I would love to see Force India mingling with the top teams every now and then. I am rooting for Fernando like last year. Any RBR, Macca , Merc or Lotus can flight . I am afraid but the prancing horse looks like that it will get eliminated in Q2 itself. A very bad qualifying for Ferrari and Raikonnen and a very good one for Grosjean(P3). Lotus Renault would be having very mixed feelings. Mercedes were looking fast till the end, until the McLarens opened up, first Hamilton then Button. No Red Bull in top 4, makes a very good sighting! I still believe that Alonso, would get some points tomorrow, and the car would get improvements in the coming races. The fact that no one is going to be very dominant is very good for him as he would not fall back by a huge amount. I believe at some point or the other each of Mercedes, Red Bull, Ferrari, McLaren, Lotus Renault will win races, gets poles. All in all we are set for a very exiting season. As usual Hispania did not qualify for the race which is a shame because Marussia out did them even when they hadn't passed the crash tests. This qualy was the height of unpredictability because known names crashed and unkown name have made their mark. They have looked good in testing especially the front end grip is good but we need to see if that excess front end has made the tyre wear more. If any car that can succeed on asthetics then it this . I knew tha Romain will kill KIMI left right and centre and its amazing to see was a kind of a rookie made use of the car . They have massive development in the F-Duct rear wing concept which is kind of a passive system and works only with DRS but lets see their race pace . This was a surprise they are faster than Ferrari (both driver outdid Alonso) . They have pay driver but atleast they have the talent . Hulkenberg with is pole in Brazil in rookie season looked too much promising and the difference btw him and Paul is large . May be FI should have retained Sutil who has experience in Open Wheel Racing than Di Resta (PS: He might be following the race from his cell) . They always say that they are in the mid field but one needs to get out of Q1 atleast (jyada bolnese kuch nahi hota). Well I am ashamed that this team is still carring on . Just see in FP1 in rain condition the engine was running hot (how can an engine run hot in cold condition ). Sir Frank Williams may be just "quietly delighted" with his team's victory in Barcelona, but race winner Pastor Maldonado has hailed it as a "wonderful" and "unbelievable day". After their horror show in 2011 when they picked up just five points and finished ninth in the Constructors' Championship, it has been a complete turnaround in the team's fortunes so far this year. Maldonado completed the fairytale comeback at the Spanish GP as he started on pole position following Lewis Hamilton's exclusion from qualifying and then held off Fernando Alonso during the latter stages of the race to secure his maiden victory. "I think it's a wonderful day, unbelievable for me and all the team," the Venezuelan said. "We have been pushing so hard since last year to improve race by race and here we are. "It was a tough race because of the strategy as well, it was hard especially because of rear tyres, after a couple of laps we were struggling with them, but I need to say I am pretty happy because car was so competitive since the first lap." Maldonado made his final pit stop four laps before Alonso, but he managed to look after his tyres much better than the Spaniard and eventually finished 3.1s ahead of the Ferrari driver. "It was so close. We were looking to manage the tyre degradation so I couldn't push that hard, just to keep the tyres alive for the end of the race and Fernando got very close," the 2010 GP2 winner said. "There were some moments where he was so close especially at end of the straight, but I was managing the gap and controlling everything. "Our pace today was very strong, the car was fantastic, so was the team. We did a small mistake at the last pitstop but it did not affect our performance." Fernando Alonso came through from 11th on the grid to take a remarkable home victory in the European Grand Prix in Valencia. The result made the Ferrari driver the first repeat winner of the incredible 2012 Formula 1 season, and also moved Alonso into the championship lead. The latter outcome was due in large part to Sebastian Vettel retiring with a mechanical problem on his Red Bull after dominating the first half of the race, and Lewis Hamilton's McLaren retiring late on in a collision with Pastor Maldonado's Williams as they fought for third. Lotus's Romain Grosjean had looked like a victory threat as he chased Alonso, only to suffer an alternator failure, but his team-mate Kimi Raikkonen came through to claim second after a late pass on the fading Hamilton, whose incident with Maldonado then allowed Michael Schumacher to make his podium return for Mercedes in third place, chased by 19th-place qualifier Mark Webber's Red Bull. Vettel commanded the early stages, immediately pulling out a lead of several seconds as the pack behind took several corners to sort itself out. Front row qualifier Hamilton got away slowly, and had to fend off several attackers before establishing himself in second ahead of Grosjean, Kamui Kobayashi, Maldonado, Raikkonen, Nico Hulkenberg and the fast-starting Alonso. Approaching half-distance, Vettel was leading by 20 seconds over Grosjean, who had overtaken Hamilton with a neat outside-line move on lap 10 and then pulled out a 10s gap over the McLaren, which had Alonso edging closer. When the safety car was called out to clear debris from a clash between Jean-Eric Vergne's Toro Rosso and Heikki Kovalainen's Caterham, most drivers made their second and final pitstops. Hamilton's was very slow, allowing Alonso to get up to third, and the Spaniard then went around the outside of Grosjean into the first corner at the restart to claim second. Moments later that second place became the race lead, as Vettel's Red Bull suddenly cut out and retired, to the world champion's shock. Grosjean kept Alonso under pressure and still seemed a likely winner, only for an alternator failure to halt the Lotus with 17 laps to go. After that Alonso was able to pull clear and become the first repeat winner of the 2012 season, retaking the championship lead in the process. Hamilton held on to second until the final two laps, when his tyres appeared to wilt. Raikkonen got past after a long battle, but when Maldonado tried to do likewise, the pair clashed, putting the McLaren in the barriers and breaking the Williams's front wing. That allowed Schumacher through to claim the first podium of his Formula 1 return, as fended off Webber, who made great progress through from 19th on the grid. Both Schumacher and Webber passed the Force Indias in the closing stages, with Nico Rosberg then getting his Mercedes between Hulkenberg and Paul di Resta's Force Indias to take sixth on the last lap. Jenson Button had a low-key run to eighth for McLaren, ahead of Sergio Perez's Sauber and the limping Maldonado. 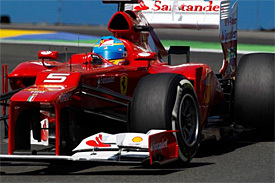 The second Ferrari of Felipe Massa was delayed with damage from a collision with Kobayashi and finished a lowly 16th. Kobayashi, who had already had to change front wings once after hitting Bruno Senna's Williams, had to retire after the incident. For some of the race it looked like Caterham might score its first point, as solid pace and the attrition ahead allowed Vitaly Petrov to pick his way up to 10th place. But the Russian was pushed back down the order and then tangled with Toro Rosso's Daniel Ricciardo. I am gutted to see that Vettel had an alternator failure ,damn he was 20 sec ahead of the 2nd place man in this ultra competitive field of 2012 and the safety car wiped his advantage and race . I will though praise Ferrari and Alonso to make the best of others mistake and his overtaking and excellent pitstop made him gain 5 positions in 4 laps itself which is nothing short of awesome . And the podium picture should be set in a frame because all the 3 driver are legends with Kimi and Schumi ex ferrari WDC . Its time for Silverstone again. After 7 different winners in the first 7 races, Fernando Alonso finally broke the trend by taking his second win of the season at Valencia. Hamilton and Vettel DNFs have given him a considerable lead in the Drivers Championship. Mclaren will surely be looking to bounce back because it not only the home Grand Prix for team but also its drivers. Considering how topsy turvey the season has been so far what are your predictions for the British Grand Prix? Force India have always come up with something good at Silverstone and I hope its the same this year, as they are still playing catch up with Sauber, after having come to terms with Williams with double points finish last race. As always, i will be supporting Alonso, but I feel Vettel will be the one to watch out for seeing his searing pace before retiring last race. The McLaren team will be hoping for an uneventful race, because nearly every race either they have a bad pit stop, strategy errors, or the get T-boned by a Williams car! The McLaren team will be hoping for an uneventful race, because nearly every race either they have a bad pit stop, strategy errors, or the get T-boned by a Williams car! How can you forget the happy and fun times with Felipe Massa? Anyways Vettel is always on top when hes on pole. He could have taken the Valencia race had he not stopped. But Alonso was the driver of the day for me. Of course I will be rooting for him too. Hope the race is exciting though. Guys, have a look at this video. Crashtor Maldonado crashes under red flag! So Alonso wins again at Germany. A superb controlled drive by the Spaniard and I have no doubt that he is the best driver on the grid. 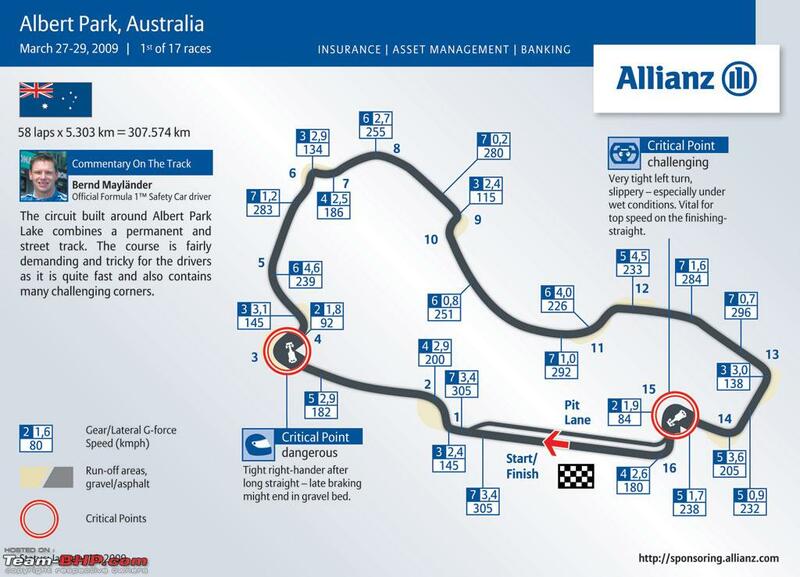 There was a threat from Vettel and Button in the middle stages but he manged the tyres and strategy pefectly. Of course Hamilton has a little role there and I really didnt understand what he was doing. Good drive by Button and nice to see him on the podium again. After being nowhere in the initial part of the season, Ferrari have fought back and how. Alonso now has a huge lead in the Drivers title and if he delivers consistent performances like this, he looks good as Champion this year. However Redbull look very strong in the Constructors. Great race! Alonso and Ferrari managed quite well to finish in the position they started. I wouldn't say Ferrari is in the same league as Red Bulls or even Mclaren but Alonso manages well to be with them. Straight-line speed of Ferrari was good. 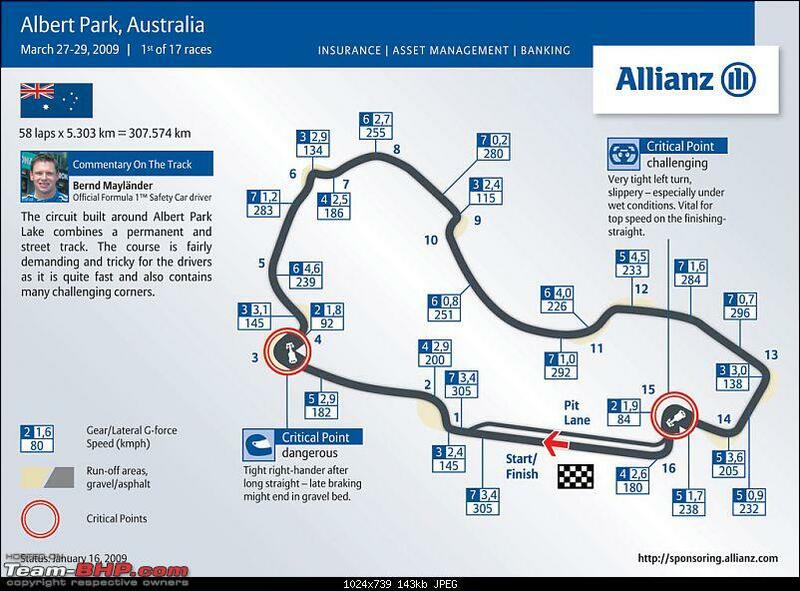 Mclarens touching 318kmph with DRS and Ferrari maxed out at 302 which really helped and not made Alonso a sitting duck! Special mention of Saubers who really drove well esp Perez who started 15th and ended up 6th just behind Kobayashi who inturn drove well. Kobayashi really looked after his soft compounds which really I didn't expect. Fastest lap goes to Michael Schumacher but he really needs a car which is just not fast over a single lap but through out the race! Hot climate doesn't suit Mercedes and I see them struggling at Hungary too unless it rains! Rather boring race this time around. The only exciting part was Kimi. the way he was charging keep himself on Hamiltons tail was awesome. Its just a matter of time before Kimi notches up his first win for Lotus. Though not on the podium, Alonso increases his lead in the championship. Things looking good for him. And the less said about Mercedes the better. A forgettable weekend for them. Surely Michael deserves better. Again the number 2 spot changed hands . From Webber to Vettel to now Hamilton . And surprise surprise , Kimi isn't far away . Now that the European leg is over , it will be interesting to see how ferrari does in the asian and american arena , and can Alonso hold the advantage !